One Direction fever has hit South Africa with Harry, Liam, Louis, Zayn and Niall stopping off for three concerts in March and April! No fan will be able to call themselves a superfan without at least one copy of the fabulous YOU One Direction magazine. Read about how the band got started, all about their songs, albums, tours, tattoos, the movie and, of course, plenty of details and fun facts about each singer. 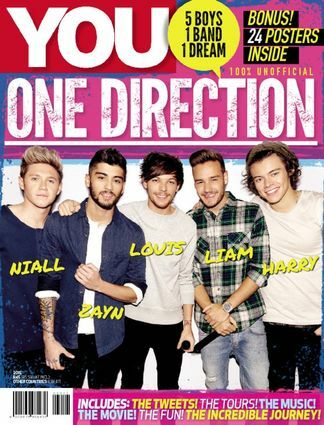 There’s also a great quiz to test your 1D knowledge. The magazine is also packed with gorgeous pictures of all five boys. Be the first person to tell us what you think about YOU One Direction and you'll save $5 on your next purchase!